Symptoms may be mild so that they do not affect daily functioning or severe, causing delusions or hallucinations. According to Mind.Org.uk., approximately 1 in 4 people in the UK will experience a mental health problem each year. A survey in 2016 found about 3.3 in 100 people in England have depression. Needless to say, the number is expected to experience a massive hike in the year 2018. Depression can be triggered by traumatic events, physical disease, substance abuse, stress or may arise without any obvious trigger. Scientists have tried to find a biological cause for depression, but have so far not identified any chemical imbalance, contrary to the statements of drug companies (and many psychiatrists). Nor has any gene responsible for depression been found. Psychotherapists since Freud have sought to locate the origin of depression in early childhood relationships, though this is not something that can be proven experimentally. and family relationships, a partner in poor health, being a carer are all risk factors for depression. Depression can affect anyone, irrespective of the age. Even the World Health Organization estimates 5 percent of men and 9 percent of women experience depressive disorders in any given year. What NHS treatments are available? – psychotherapeutic counselling – this explores the causes of your depression without prejudging what they might be. Your GP will probably give you a questionnaire to help him decide how severe your depression is. You can see an online version here. Government (NICE) guidelines currently recommend antidepressants combined with Cognitive Behavioural Therapy or Interpersonal Therapy for Moderate to Severe Depression. For mild to moderate depression NICE recommends a structured exercise programme and/or CBT-based self-help. NICE guidelines include offering counselling for people who decline other therapies. Recent research suggests generic counselling is as effective as CBT for depression, although this is no yet reflected in the NICE guidelines. There is usually a waiting list for an assessment to see if you are suitable for CBT and counselling and then another wait to start the treatment. While some people experience relief from some of the symptoms of depression many do not. Science does not support the view that antidepressants cure chemical imbalances in the brain, so it is not clear how they work when they do. It is possible that antidepressant drugs mask the underlying issues involved as many people report being emotionally numbed by them. Side effects may include drowsiness, feeling flat or numb, insomnia and suicidal ideation. Some patients cannot metabolise SSRI antidepressants well due to a liver enzyme deficiency, causing these drugs to become toxic and psychosis may ensue. SSRIs also cause discontinuation syndromes, which means it’s hard to get off them once you have started taking them. While antidepressants aren’t strictly speaking addictive, you can expect some withdrawal symptoms if they stop taking them suddenly or miss a dose. If you want to discontinue the use of antidepressants, your doctor will normally reduce the dose gradually over a four-week period to reduce withdrawal symptoms. If you are offered antidepressants it is good to discuss the risks and benefits of medication as well as the option of other treatments with your doctor. What does Rodney Street Therapies offer? • Psychotherapy for depression. Our main approach is person-centred counselling, leaving you in charge of your own progress; by sharing your concerns in an environment where you are listened to, non-judgmentally you can develop more resilience to cope with your problems. If stress is the cause, we offer Stress Counselling in Liverpool and Manchester. • Mindfulness meditation: mindfulness allows you to develop a non-judgemental attitude toward yourself and a state of non-attachment toward troublesome thoughts. Most people experience states of peace or bliss through meditation. Your therapist will introduce you to mindfulness techniques you can practice at home and a fortnightly Inner Peace guided meditation session is also available. Rodney Street Therapies also offers individual yoga classes. Yoga has been shown to help people with depression. 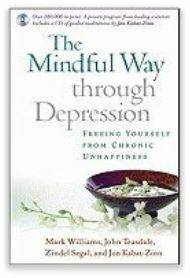 The Mindful Way Through Depression is a classic in the field by world experts on mindfulness, containing a helpful CD of guided meditations. Jon Kabat-Zinn is an American professor emeritus of medicine and the creator of the Stress Reduction Clinic and the Center for Mindfulness in Medicine, Health Care, and Society at the University of Massachusetts Medical School. Dr. Zindel Segal is the Distinguished Professor of Psychology in Mood Disorders at the University of Toronto, Scarborough. John Teasdale has worked as a research scientist in the Department of Psychiatry, University of Oxford, and in the Cognition and Brain Sciences Unit, Cambridge. John Kabat-Zinn Segal, Teasdale and Williams collaborated in the development of MBCT. He founded the Stress Reduction Clinic at the University of Massachusetts Medical School, and devised an eight-week programme called Mindfulness-based Stress Reduction. How to Lift Depression. 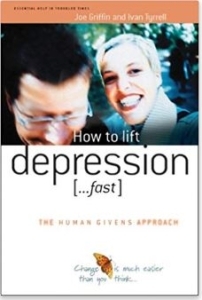 Fast is a self-help book which many people with mild to moderate depression have found useful. The Human Givens approach looks at what all human beings need and if those needs are being met in the here and now.